It is still cold outside, but we're so sugar high in the Mesdames' Kitchen that the weather doesn't matter! Valentine's Day is just around the corner. Make sure to place an order to surprise your sweetheart! Place orders no later than Friday, February 8th to ensure delivery before the Feburary 14th holiday! 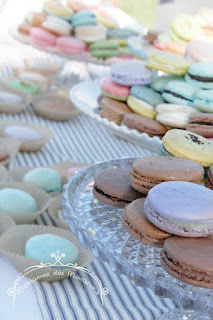 Email Mesdames.des.Macarons@gmail.com to place your order. Les Mesdames wish you all the happiest and healthiest 2019! 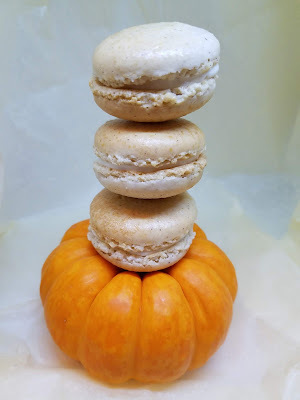 The Macarons Ladies want to help make your holidays a little sweeter and brighter. 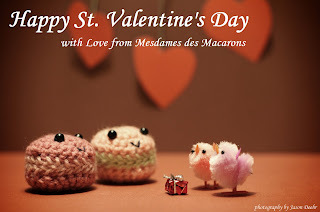 We're accepting orders via email to mesdames.des.macarons@gmail.com from now until midnight of Friday, December 14th. Orders will be baked, packaged, and shipped by December 18th to ensure they arrive at their destinations on time. Email us with the quantity of each flavor you'd like and where you'd like them sent. We'll email back to confirm before we process your order and answer any questions you might have about our handmade, Parisian macarons. View our full list of holiday flavors here! We'd also like to say THANK YOU to everyone who came by our table at the Christmas Market over the weekend! 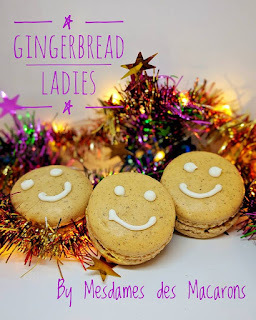 We're so thrilled to introduce you to The Gingerbread Ladies! These little sweeties will spice up your holidays. These gingerbread flavored macarons are made with all the ingredients that make gingerbread such a holiday staple. In addition to Gingerbread Ladies, here is a full list of our 2018 Holiday Macaron Flavors! Les Mesdames are up to a few things. We're still partnering with our friends at Gustare Oils & Vinegars, now located exclusively in Chatham. We're testing out some new flavors there using their delightful balsamic vinegars in our fillings. For anyone who loved the Sugar Plum Fairy macaron we sold at Christmas, you're going to like what we're mixing up in the kitchen for Gustare. More about these special flavors will appear in the coming weeks. We also wanted to update everyone that summer shipping of orders may be limited. Our macarons do not do well in the heat. We're working on some creative solutions, but in the meantime we won't be shipping large orders in the hot months of summer. Finally, we're playing with flavors and decorations in the kitchen. 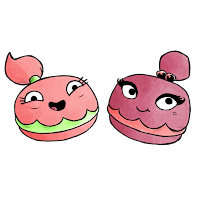 If you follow us on Instagram and Facebook, you'll get to see more regular updates from us as well as sneak peaks at some fun macaron-related mischief! We hope you're all happy and healthy! Find out what we're planning for May! We're ready for Spring weather, already! Friends, family, sweethearts... Happy Valentine's! 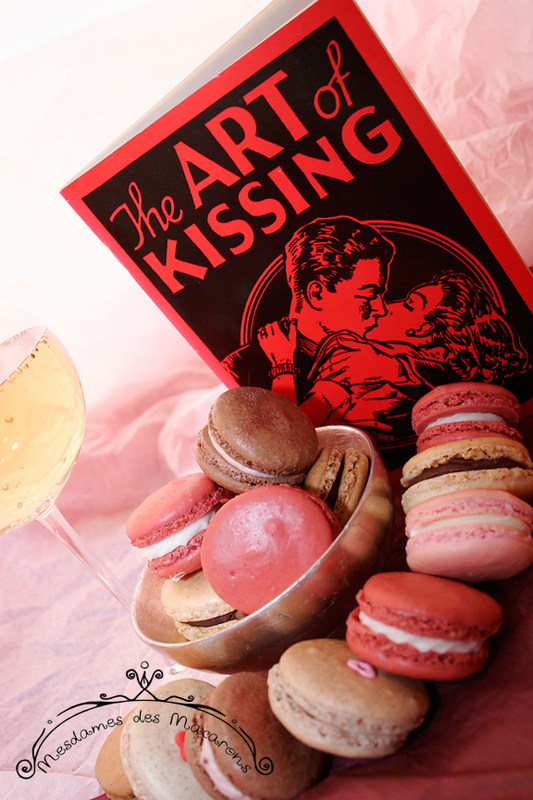 Treat your Valentine to a selection of special macaron flavors this year! Select Valentine's flavors are available through the end of February. To ring in the New Year, we're offering our classic line up of flavors. Orders open on January 2nd. The holiday season is upon us! Les Mesdames are preparing for our favorite event of the year, the annual Christmas Bazaar at Chestnut Hill's Church of the Redeemer. Whether you've been naughty or nice this year, we want to help you make your holidays sweeter. Want to know how to order? Follow the instructions here. This page also includes prices. Please note, however, that due to the volume of orders, no deliveries will be made; instead, all orders can either be shipped for an additional fee, or picked up at Gustare Oils & Vinegars. 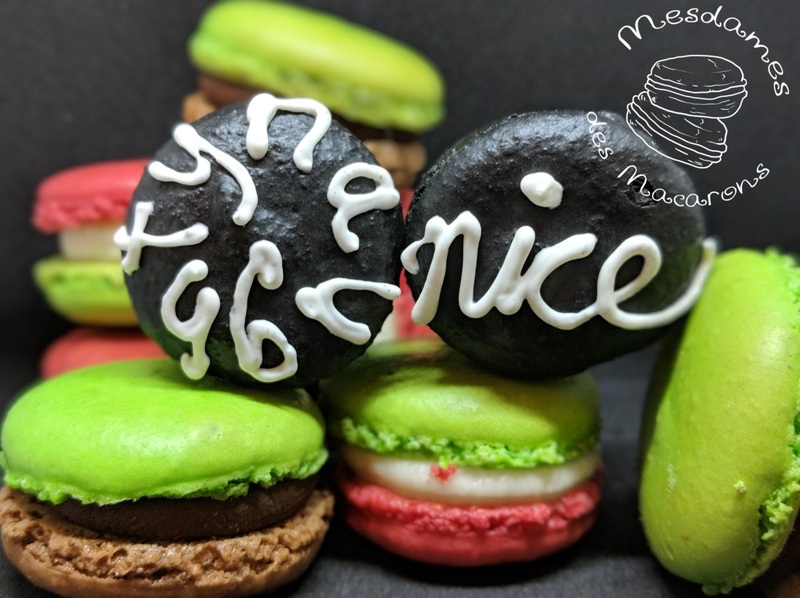 Sorry to be a Grinch about this, but ALL HOLIDAY ORDERS MUST BE SUBMITTED BY EMAIL TO MESDAMES.DES.MACARONS@GMAIL.COM BY MIDNIGHT ON SATURDAY, DECEMBER 16TH. NO EXCEPTIONS. Now, for the fun part... the flavors! We hope you'll make Les Mesdames part of your holiday goodies selection! And don't worry, we won't tell any of your cookie swap friends if you want to take credit for making them, just be prepared if someone asks for the recipe! *all ingredients disclosed upon request. 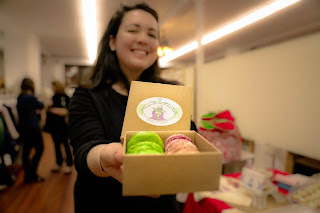 Mesdames des Macarons bake and sell Parisian style macarons for the pleasure of ourselves, our families, and our ever-growing collection of friends. 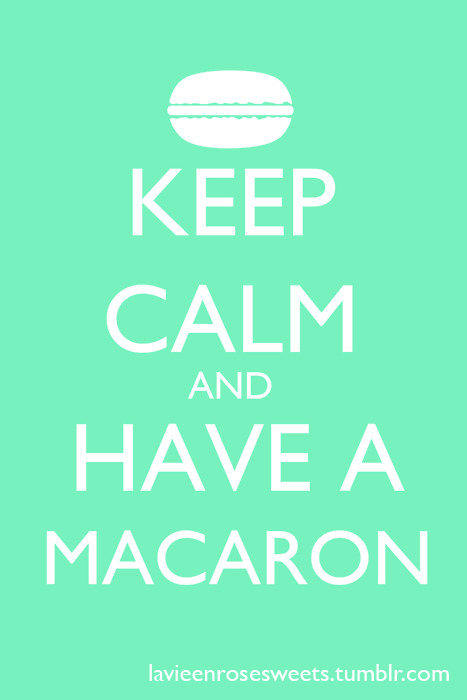 We'd like to make some macarons for you too. 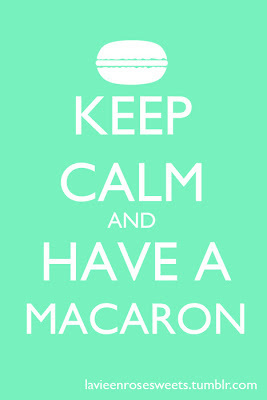 To order your macarons, email mesdames.des.macarons@gmail.com. Logo designed and drawn by Mike Regan at M.PatrickRegan@gmail.com. 1. 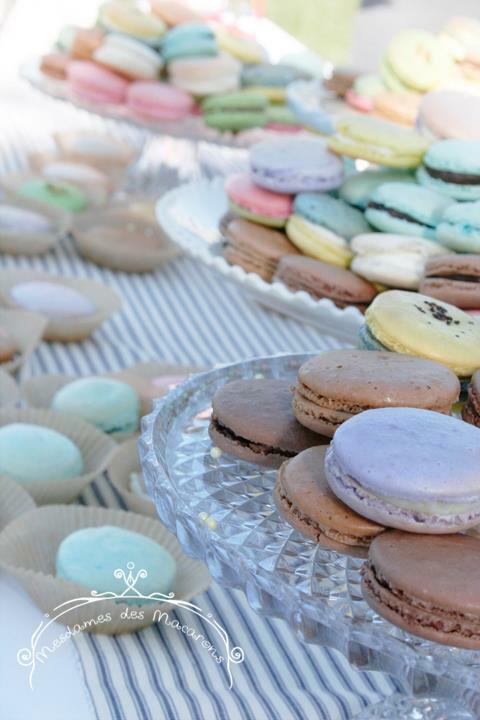 How do you pronounce Mesdames des Macarons? 2. What does Mesdames des Macarons Mean? 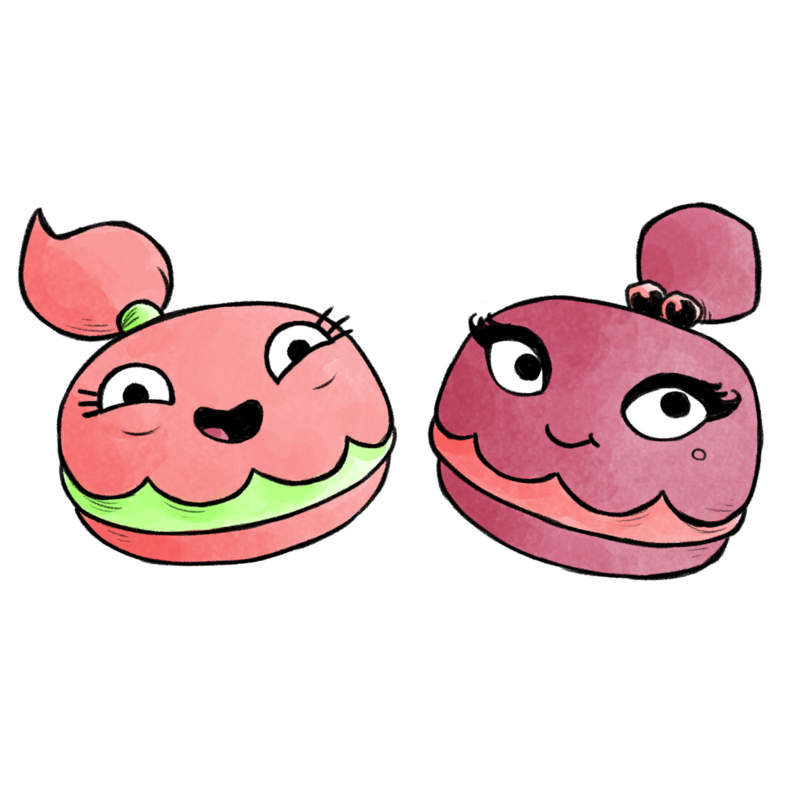 3. Who are the macaron Ladies? 4. 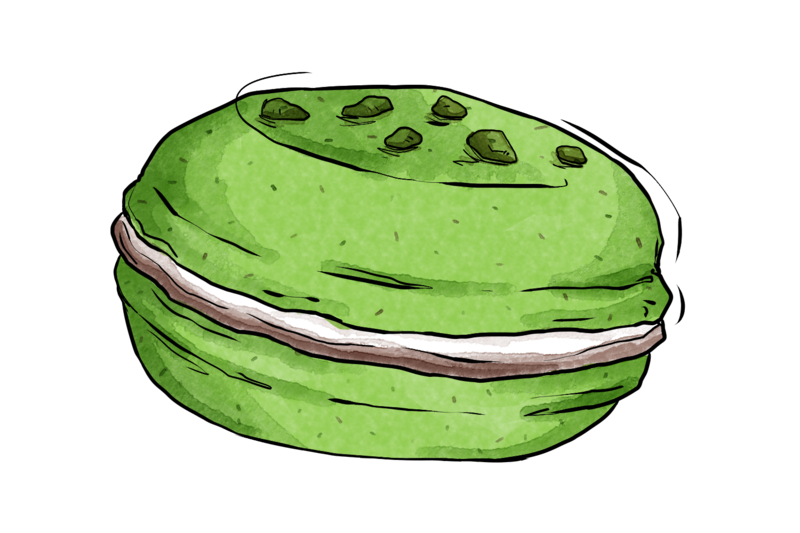 What are Macarons? Are they like macarOOns?